She has served as global practice director for social media and digital since late 2012. NEW YORK: Stephanie Agresta, global social media and digital lead at MSLGroup, is leaving the Publicis Groupe agency, she said Friday morning in a post on LinkedIn. Agresta has served as global practice director for social media and digital at the agency since December 2012. Her post did not specifically describe her plans, but she said she is proud of her work at the firm. "This trip to Cannes marks a change for my future, as well, as I am leaving MSLGroup to take on new challenges in the world of integrated marketing, communications, and emerging technology," she said on LinkedIn. "For the last seven years, I have worked to integrate digital and social media into the discipline of public relations. As a change agent and thought leader, I’m proud to say the PR industry has fundamentally changed." Agresta’s most recent role at MSLGroup included working with executives from around the world on social and digital vision, strategy, and talent. At the start of her stint at the firm, she was overseeing 15 staffers, most of whom were based in MSL’s New York office. 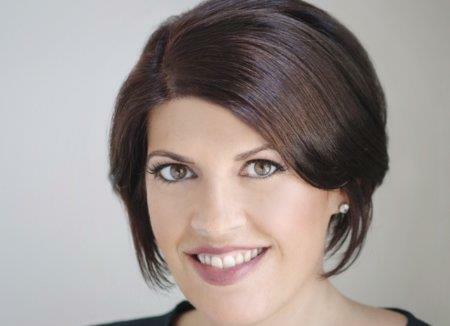 Previously, she led social media at Weber Shandwick as MD of social media in its digital communications practice. Agresta was EVP and global director of digital strategy and social media at Porter Novelli and owner of Stephanie Agresta Consulting before that. MSLGroup North America President Paul Newman thanked Agresta for her work in an emailed statement and said, "We look forward to opportunities for continued engagement with [her] in the future." "Now that social and digital (and increasingly mobile) services are an essential part of so many client PR programs, we plan to take the strategic opportunity to bring these products and services closer to our clients," he said. "We will be reviewing our global social and digital structure, and MSLGroup’s well-established regional social and digital leadership teams will now assume additional responsibilities around the world." Agresta declined additional comment. MSL representatives declined comment beyond the statement. This story was updated on June 19.